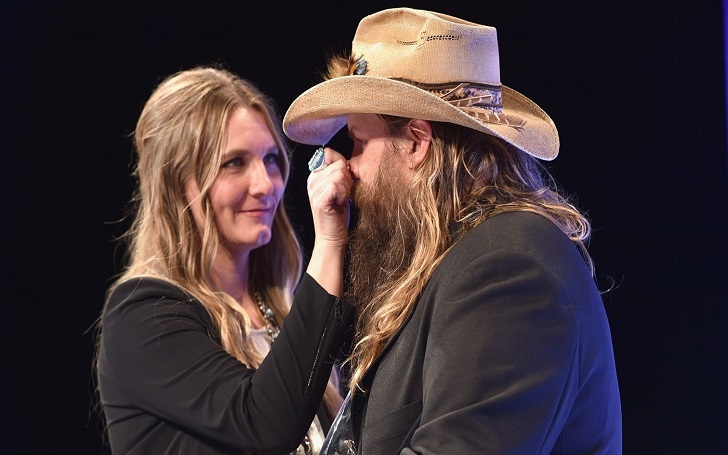 Congratulations are in order for Chris Stapleton and Morgane Stapleton. Chris who won Album of the Year at the ACM for From a Room: Volume 1 was unable to attend the 53rd annual Academy of Country Music Awards in Las Vegas on Sunday for he and wife Morgane were expecting their twins. And the award wasn't the only thing of celebration. The musician couple welcomed twin boys on Sunday, April 15 on the occasion of the country star's birthday. Can anything be this magical!! That’s only the second-biggest news. We just found out that those little rascals came a little bit early. Reba revealed that already parents of a son and daughter had welcomed twin boys and ended her breaking news with Chris 40th birthday wishes. 14 years, 2 babies, & 2 more on the way. Happy 10-year anniversary babe! You make my whole world go round. Many many congratulations to the couple! !